This was one of Marcel Duchamps created in 1951 in New York during the Dada movement. However, this is the 3rd version of it since the originals were lost. 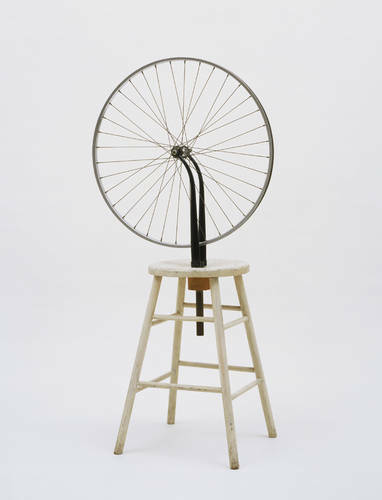 All it is is a metal wheel ontop of a painted wooden stool and you can find it today at the MOMA. The 1st version was created in 1913. 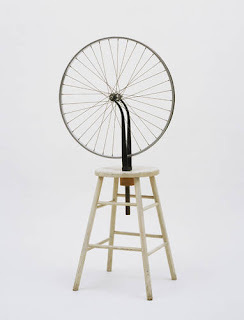 This bicycle wheel was one of his "readymades". I didnt really quite understand the concept of it but i guess thats why Marcel was considered a surrealist. Some people can see a human in it, others think its funny, and if you flip it upside down it can be a unicycle. So far Im not a big fan of the Dada movement.